It was a Thursday morning commute just like any other. The subway platform was brisk, as is expected in the middle of winter, and I was making my way up the west side to teach. 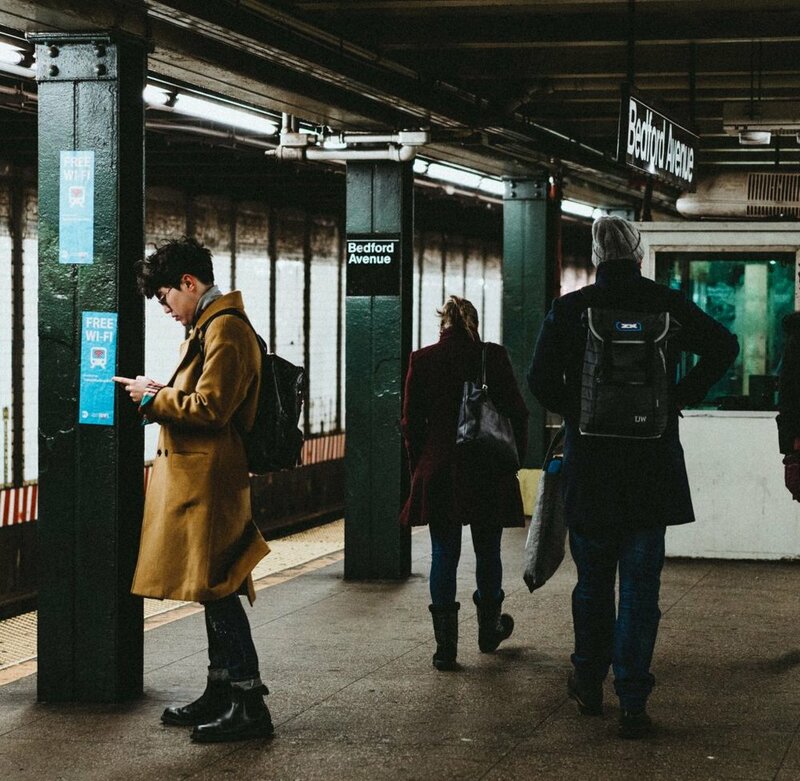 A little peek Inside the mind of the multi-train route commuter: you're always looking to line yourself up on the platform with the area of the train closest to the exit you’ll need when you get to your destination. For me, that meant traversing the full length of the platform from one end to the other. Years before, I would often cover this distance in a flat-out run because there were no estimated arrival time alerts posted in the station: the only way to tell whether a train was coming soon was to lean out over the tracks and look for headlights. And now, even with the signs, you still don’t know when a particular train will be arriving until you get to that train’s platform and can see the estimated arrival times. I always walk at a brisk pace to improve my chances of getting to the other end of the platform before the next train pulls up. This day was different. According to the sign on the platform, I had a good four minutes: more than enough time to slow my roll to an almost-stroll. As I made my way, I could feel a fellow pedestrian approaching from behind. He was on a mission to overtake me and come out in front. This is typical NYC thinking: avoid getting stuck behind someone going the same speed or slower than you. Since my almost-stroll still tends to be on the speedy side, I can see why he thought I might give him a run for his money. As I continued past him on my way to the other end of the platform with the smile he inspired still on my face and a delicious moment only the two of us would share that day, I felt that by not engaging in the race, I had won, too.